Woodworking can be an expensive hobby. It can become a very expensive hobby when you start investing in bigger and better tools. When it comes to buying tools, there are as many brands and opinions as their are Carter’s Little Liver Pills. And with budgets often limited, it can sometimes be difficult to splurge on one “best of the best” tools when you get two separate mid-range tools for the same money. Knowing you “get what you pay for,” there are a few things to consider when shelling out money for tools. Asking yourself a few questions can help you decide whether to spend the bucks or keep you wallet a little fatter. Below are a few examples that have helped me along the way. How often will you use the tool? For this illustration, I’ll turn to the jigsaw. Although not part of my regular woodworking arsenal, I do occasionally use one. For years, the only time I turned to this little helper was to cut patterns on the ends of pressure-treated lumber that make up the tops of pergolas. I needed it for a single application, cutting a curved line traced on a 2×6 or 2×8. Because I hadn’t found a need for one any other time, I went with the cheapest I could find, about $15. I theorized that if I got one pergola out of it, it was a good investment. However, I got four pergolas out of it before it quit working. With the second one, I’ve begun using it to occasionally cut plywood patterns or to shorten long boards to make them easier for the table saw. Still, as little as I use a jigsaw, I consider the discount version as the best investment for me. When I bought my first drill press, I was looking for a machine to do one thing…drill straight holes. For 15 years, I have used a basic benchtop model and it has served me well. 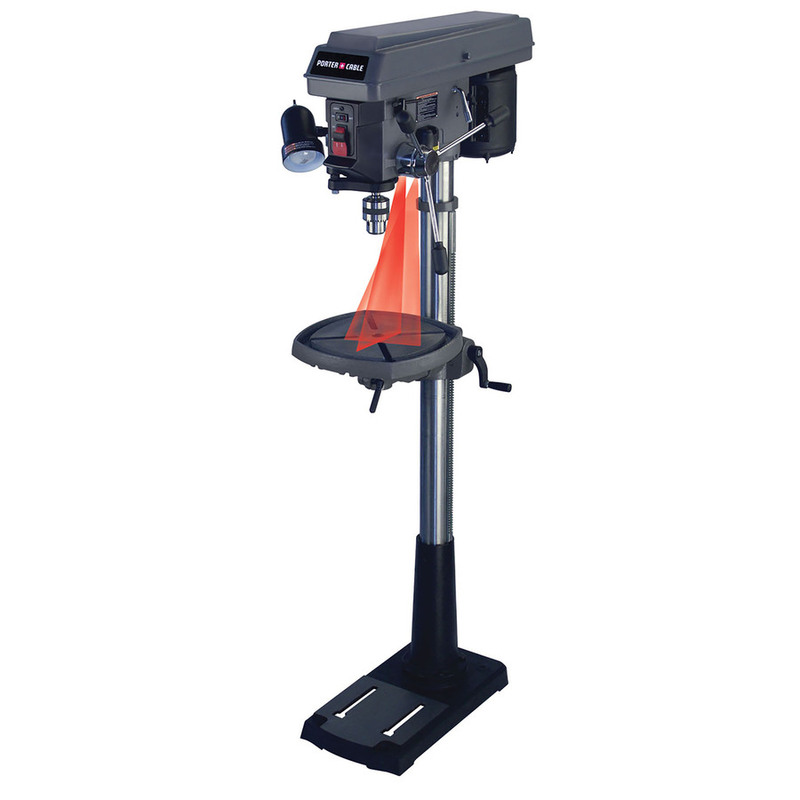 It has variable speed pulleys and manual depth-stop, which are standard drill press features. As a bonus, it accepts a mortising attachment. Two years ago I began considering upgrading to a floor model with lots of eye candy – a larger motor, variable speed, a hefty chuck, a built-in laser, a micro-depth stop, a light and a tilting table. When the price on the one I’d kept my eye on at the home improvement store finally came down $30, I snapped it up. Although it’s a nice addition to the shop, I now realize I didn’t need it after all. Had I not been swayed by all the fancy bells and whistles, I could/should have invested that money into expanding my woodworking knowledge by getting a hand-cut dovetail kit. If I had to do it all over again, I would skip getting the fancy tool to replace a “bare bones” one that was already doing a fine job. Do you need a workhorse tool? There are a couple of tools that I use on every project. One is a router table. I’ve experienced the low-end, basic router and table. Limited power, limited adjustments and limited bit sizes kept my woodworking skills to a minimum, not to mention sub-par results. 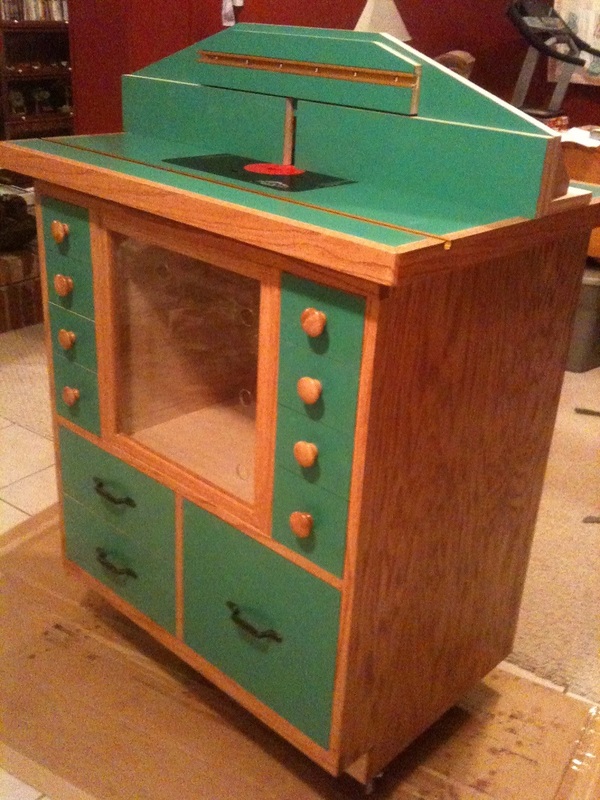 Two years ago, I shelled out big bucks to build a custom router table that would handle anything I might want to build. Plenty of storage for extra routers and accessories are nice, but it’s the multi-functional top that allows the versatility to turn good projects into great projects. And with a quality router table, I didn’t hedge on the machine to go in it either. I bought the largest, most powerful non-industrial router I could find. The Porter-Cable 7518 has not let me down. It is a hoss for working with large bits like rail and stile cutters, but finesse enough for me to gently use a 1/8″ straight bit. 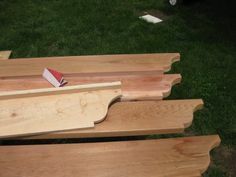 For me, investing in a good router and table has been worth every penny. My machine is dependable, precise and produces high quality results every time. As a result, next to the tablesaw, the router has become my most used tool in the shop. Will you save money in the long run? With the price of lumber at the big box stores, woodworkers simply can’t afford to build very many projects. If I wanted to spend more time building, I had to find a cheaper way to feed my sawdust-making habit. Store-bought lumber comes milled, planed and ready to use. But it also comes at a premium price. By my figures, I was paying Mr. Big Box store $3.85/ft just to smooth the surface and clean the edges of hardwood boards. To save money and live better, I decided to buy rough-sawn lumber directly from a mill (at 1/3 the price) and plane it myself. 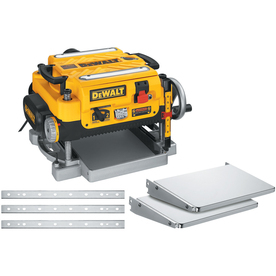 Buying the Dewalt DW735X planer was a great investment for me. After just two projects, the machine had paid for itself in savings. By spending more on a strong, reliable tool upfront, I’ve saved myself thousands of dollars in material costs by planing my own boards. This tools allows me to buy more lumber to make more projects. Every woodworker’s needs are different. Carefully considering how you will use your tools can help you buy wisely. Sometimes, you should invest in the better machine. But oftentimes, the middle of the road model will serve your needs without breaking the bank. Be the first to comment on "When to buy high-quality tools and when not to"